In the City of Miami Gardens, good people can sometimes get injured or killed through absolutely no fault of their own. Sometimes the actions are intentional and other times the actions are negligent. Often it is as simple as someone breaking the safety rules and some victim gets seriously injured or killed. If you were injured or lost a family member due to the acts of another, negligent or intentional, then you really should seriously consider contacting the Miami Gardens Accident Injury Lawyers at the Wolfson Law Firm. We are available to speak with you right now at (305) 285-1115. All consultations are free and confidential. The Miami Gardens accident lawyers and personal injury attorneys at the Wolfson Law Firm have served the good people of the City of Miami Gardens for all forms of personal injury since 1963. We are available to help you and your loved ones too. All you have to do is call us and we can get to work on your case. On May 13, 2003, the City of Miami Gardens was incorporated. It was the thirty-third city in Miami-Dade County. It is the 3d largest city in Dade with more than 105,000 residents. Only Miami and Hialeah are bigger. The city itself is approximately 20 square miles in area. 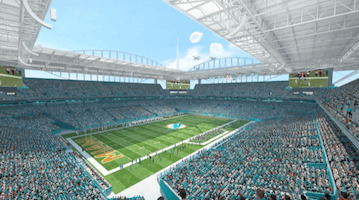 The Hard Rock Stadium where the Miami Dolphins play is located in Miami Gardens. The city is the largest municipality of predominantly African-American population. Our serious injury lawyers are ready and able to represent Miami Gardens residents who were hurt because of negligence or intentional acts. Never be a silent victim. Stand up for yourself and your family. Get the information you need. Demand the answers you are entitled to. The second you are hurt, your life changes. You must make sure that the responsible party is made accountable. At a minimum, you owe that to your loved ones and to your own self. If you have lost a family member in an accident, the Miami Gardens wrongful death lawyers at the Wolfson Law Firm can help. Our Miami Gardens injury attorneys can represent you if you were injured because of the wrongful acts of another. 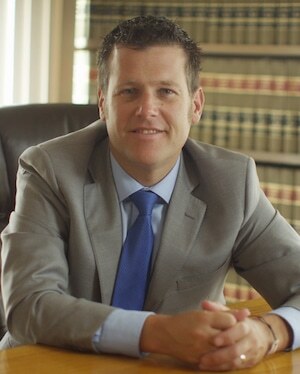 We have a bilingual injury legal team and our Managing Attorney Jonah Wolfson is a bilingual wrongful death attorney and personal injury lawyer in Miami Gardens. Just call us at (305) 285-1115 for your consultation. Our Miami personal injury lawyers are here to help the residents of Opa Locka, Liberty City, Hialeah, Miami Springs, Hialeah Gardens, Doral, North Miami, Aventura, North Miami Beach, Edgewater, Miramar, and Hollywood.